Santa Cruz Therapy — Office Hours & Fees | Debra Sloss, M.A. Individual – 50 min.Couple/Family – 50 min.Individual – 75 min.Couple/Family – 75 min. Please click the “Buy Now” button above and enter the appropriate amount to pay or prepay for your session(s): $150-170/hr for 50 minute sessions and $225-255 for 75 minute sessions. 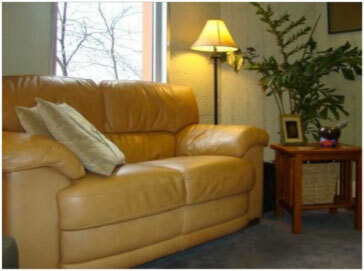 My Santa Cruz therapy office is a comfortable sanctuary conveniently located in the heart of downtown. There is easily accessed parking nearby and the building is wheelchair accessible. Morning, afternoon and early evening counseling and therapy appointments are available on Tuesdays, Wednesdays & Thursdays. Contact me for a free 15-minute phone consultation at either (831) 426-4800 or schedule an appointment. Fees are on a sliding scale from $150-170/hr. Clients place themselves on that scale. Most sessions are 50 minutes, though couples and families are often seen for 75 minutes at a sliding scale rate of $225-255. You may pay for your seasons by cash, check, credit card, or PayPal. I request payment at the beginning of your session to avoid distractions before you leave. A $15 billing fee is added if clients have to be billed following a session. There is a $25 charge for returned checks. Anthem Blue Cross: I am an in-network preferred provider for Anthem Blue Cross of California. You will be asked to pay your co-pay at the time of the office visit. I only accept checks or cash as payment. Check with your health plan, as pre-authorization or a doctor’s referral may sometimes be necessary to use coverage. All Other Insurance: Clients using any other insurance coverage are asked to pay for sessions at the self-pay fees and then may request a statement at the end of each month that allows them to seek reimbursement through their insurance company at their specific “out of plan provider” rates. I cannot guarantee reimbursement. Check with your health plan, as a doctor’s referral may be necessary for reimbursement. I require a minimum of 24 hours notice by phone or voicemail message for cancellations. If you call within less than 24 hours to cancel or reschedule, or if you miss or forget your appointment, you will be charged the full fee. First STATE OF MIND Podcast to Radio Broadcast!